Nice route, done part of it in the past but took the shorter way back via the sluggan to Badaguish. Not marked on that map above but comes over where the transmitter is marked in the middle of the screenshot. 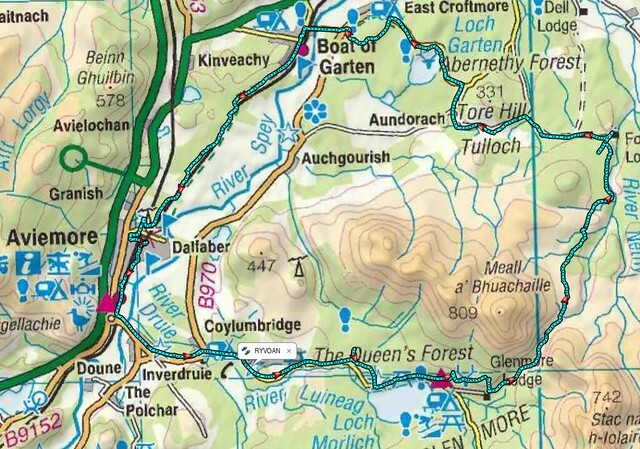 Also some nice tracks if you go through Rothiemurcus and round the south shore of Loch Morlich to Glemore.